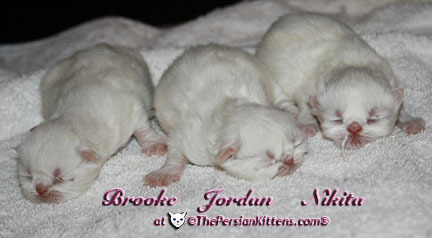 Jordan was the second and last born at 10:58 pm. 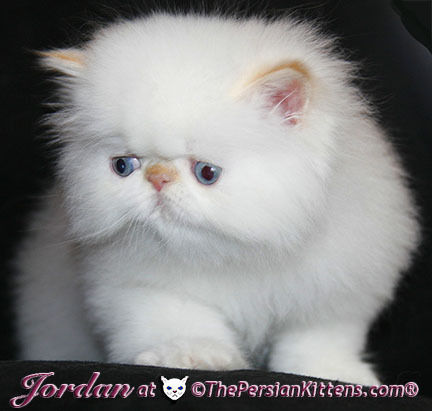 Jordan is a Flame Point Persian Himalayan Kitten. 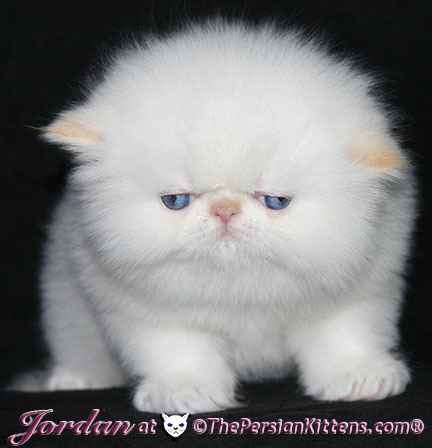 Jordan is a very laid back kitty. When I rub his back, he awakes and pops his cute head up, and wants me to scratch his little chin. 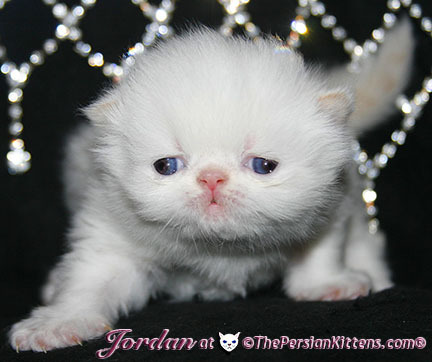 Jordan is a very confident kitten. 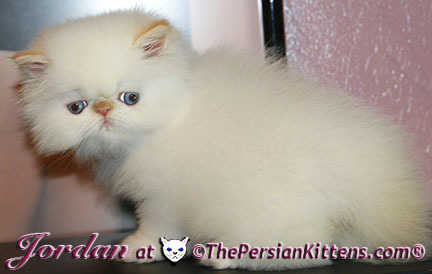 This little guy is nearly 800 grams at 6 ½ weeks! He has really grown. He is so healthy. He is walking and run all around the place. 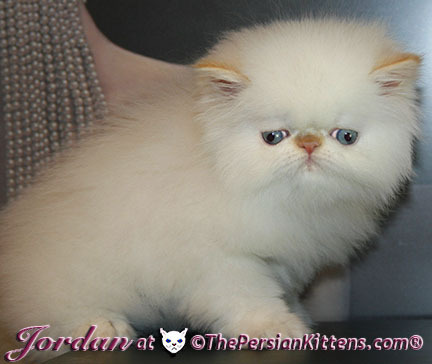 When I pick him up I put him near my chest so he can hear my heart beat, and he relaxes and starts to purr. 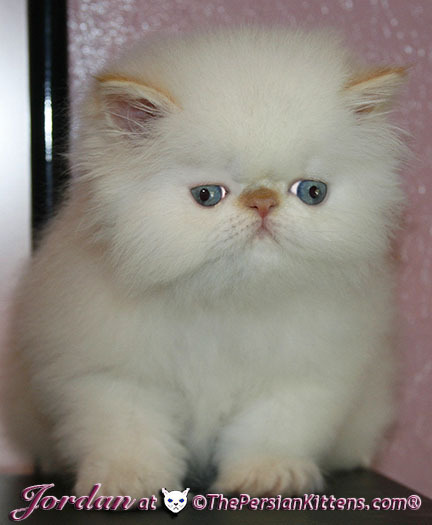 Then I hold him in my left hand and stroke his body. I start at his forehead and go all the way down to his tail. 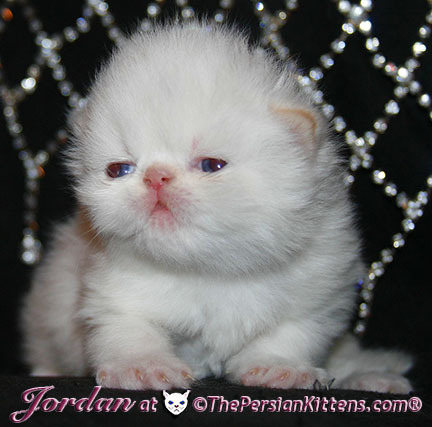 Then I kiss his whole face, and he meows.When I saw "Jordan" he meows everytime~it's so darling. He has such a great nature. 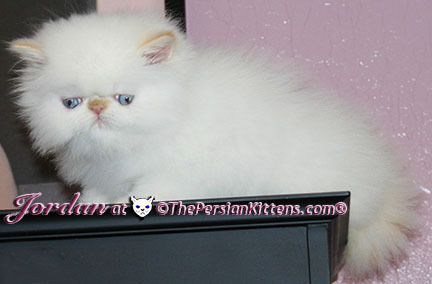 He is already rumbling with his sisters. 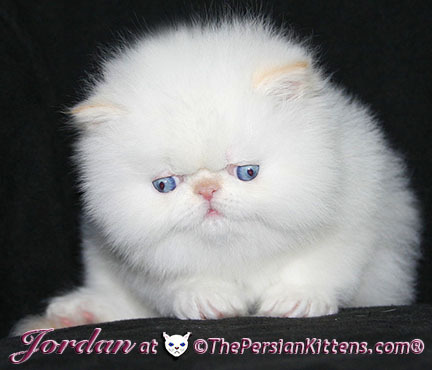 Jordan is very talkative, and is a mommie's boy. 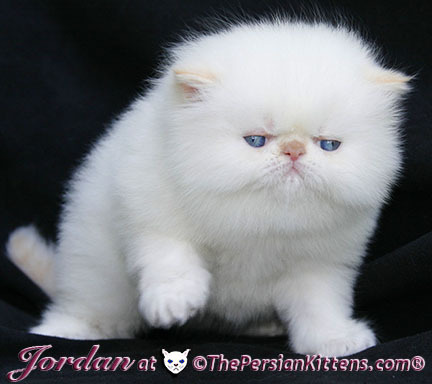 Jordan will be a medium persian cat and will weigh 8~11 lbs. 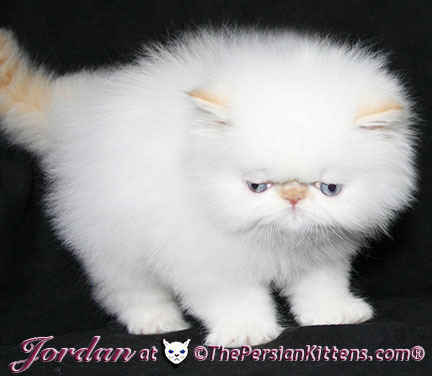 Jordan has a lot of energy. 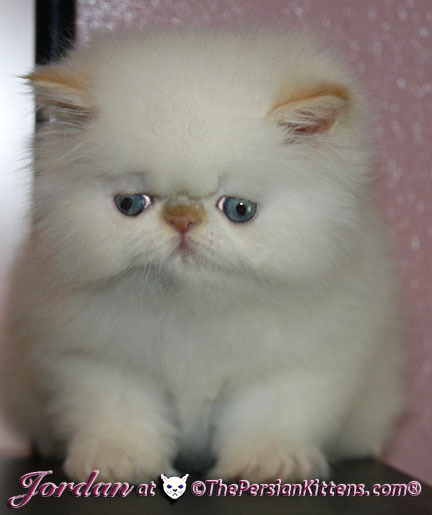 He is very special and sweet. 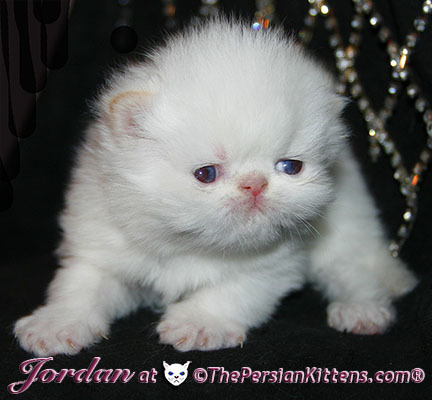 As soon as I touch Jordan, he rolls around, he is a very playful bright kitten. He loves to snuggle all night with me and Brooke. 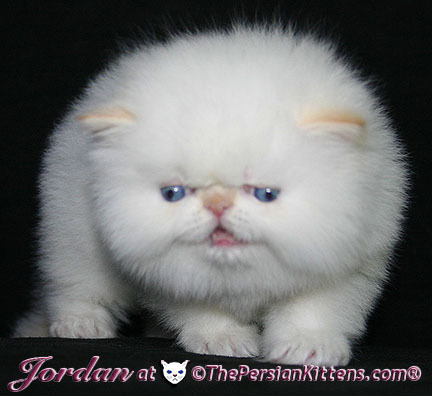 Jordan will climb to my face and start to lick my cheek. He'll lay on his back with all his paws out stretched and will let me pet and kiss his face for a long time. He just eats up all my affection. 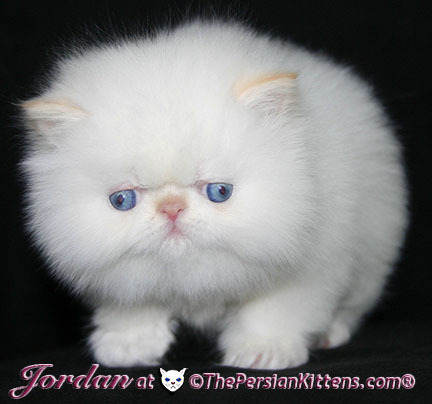 Jordan has a very cute and very round face-he will be gorgeous and have the best attributes of both parents! 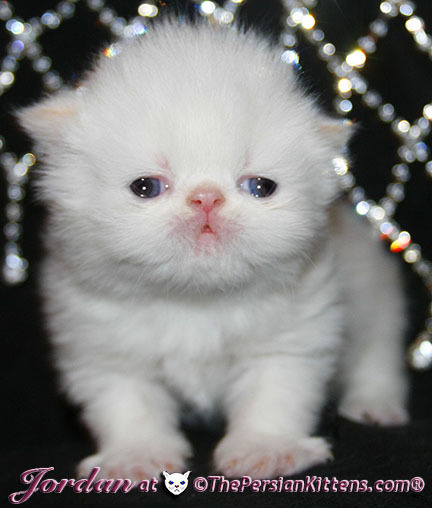 He will have Electric-Sapphire Blue eyes, he will be outrageouly gorgeous! 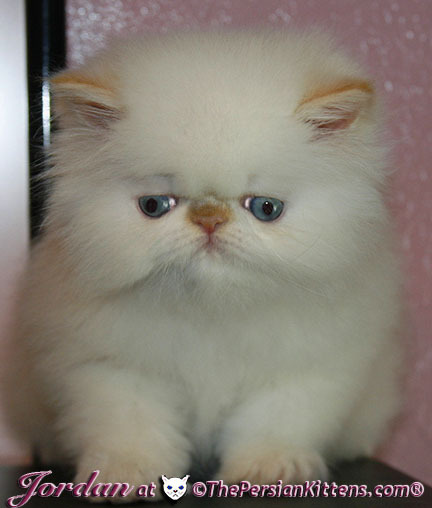 Jordan will look like Spencer,& Sumo. 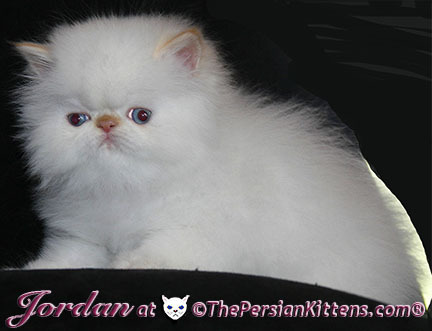 Jordan is Available for Adoption! 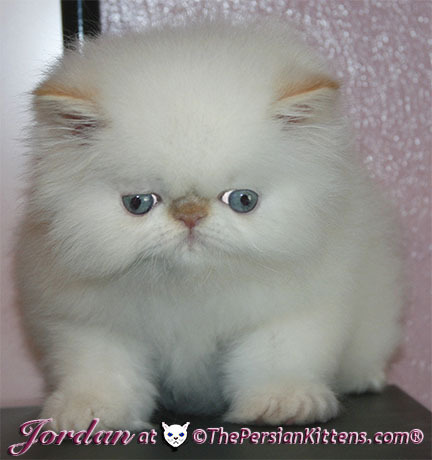 Jordan First Eating Persian Kitten Video at 5 ½ weeks old. 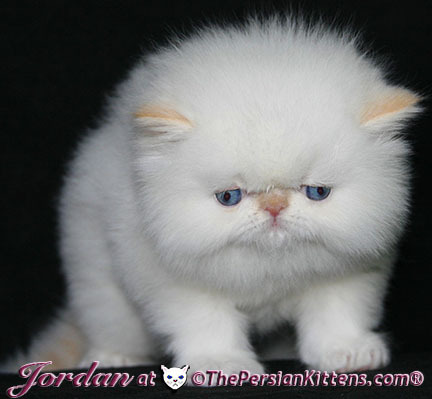 Jordan Using Scratching Pad Persian Kitten Video at 5 weeks old. 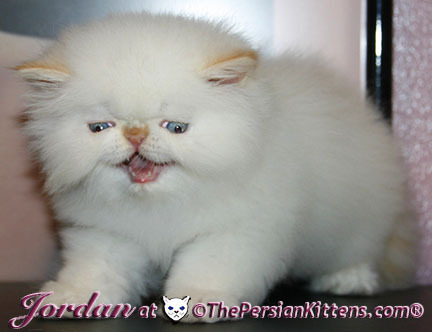 Jordan Playing With Me Persian Kitten Video at 5 weeks old. 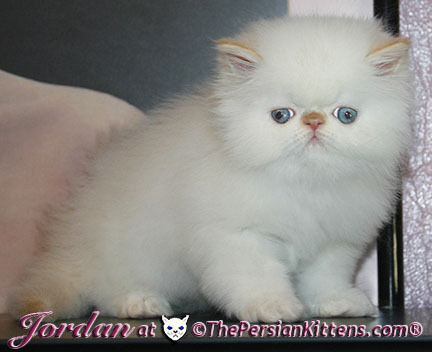 Jordan's Persian Kitten Video at 5 weeks old. 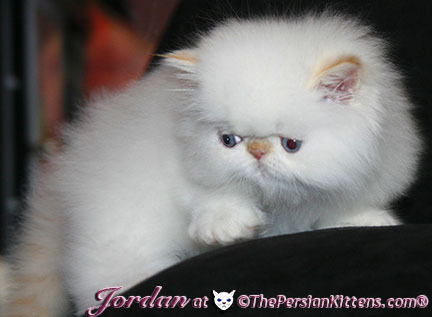 Jordan's Petting Part 1 Persian Kitten Video at 3 weeks old. 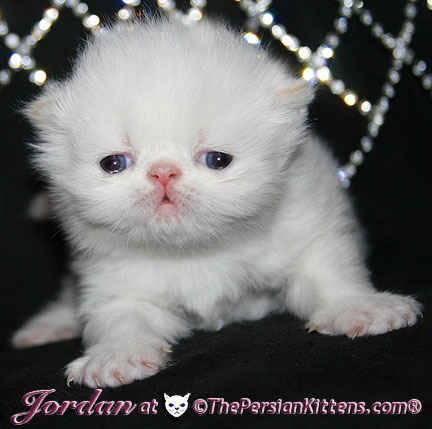 Jordan's Petting Part 2 Persian Kitten Video at 3 weeks old. 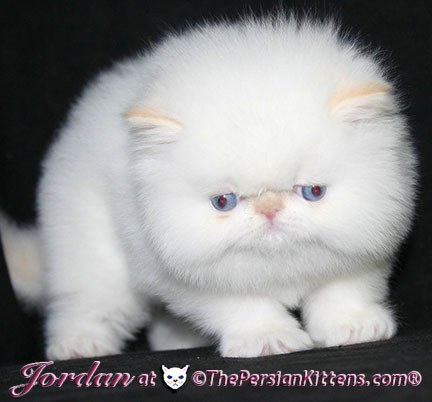 Jordan First Walking Persian Kitten Video at 2 weeks old. 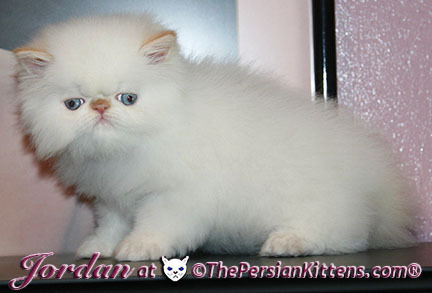 Persian Kittens © Jordan has long whiskers which means he's going to have thick fur! 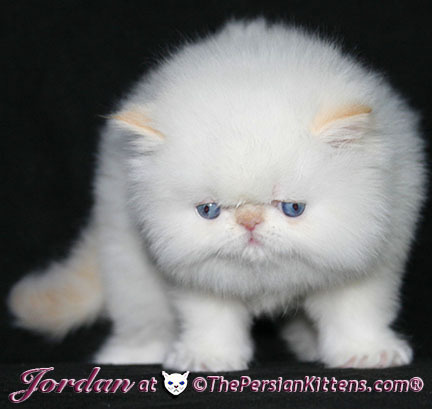 Persian Kittens © Jordan holds his tail high, that means good breeding ! 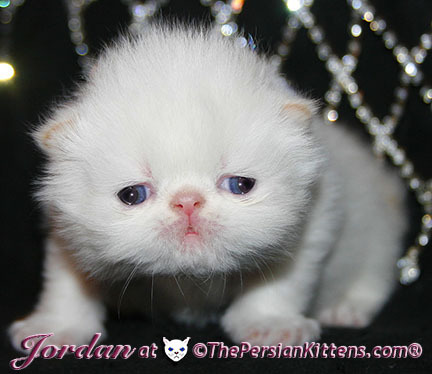 Persian Kittens © Jordan a pretty kitten newborn at few days old !